The Hasselblad tale starts in 1841, sixty-five years before Victor Hasselblad was born. Victor’s great-grandfather, Fritz Victor Hasselblad, founded the trading company F.W. Hasselblad & Co in Gothenburg, Sweden. The company began importing supplies such as sewing materials and machines, travel accessories, household articles, and the like. In 1885, Fritz Viktor’s son, Arvid Viktor, met George Eastman, founder of Eastman Dry Plate & Film Company (later to become Kodak in 1888), while on his honeymoon in London. With a deal sealed by a handshake, F.W. Hasselblad & Co became the sole distributor for Eastman Dry Plate & Film Company photography products. In 1908, F.W. Hasselblad & Co separated itself from the photographic business and established a new company, Hasselblad Fotografiska AB, in order to meet the demand of photographic products. In 1906, Arvid Viktor’s grandson, Victor Hasselblad, was born as the natural heir to the Hasselblad family photo business. At 18 years old, Victor was pulled out of school and sent to Dresden, Germany to learn about the camera industry and optics manufacturing. Young Victor roamed the globe, spending this period of his life as an apprentice in the camera industry. First in Germany and France, then in the United States, he worked in camera and film factories, developing labs, and camera shops. 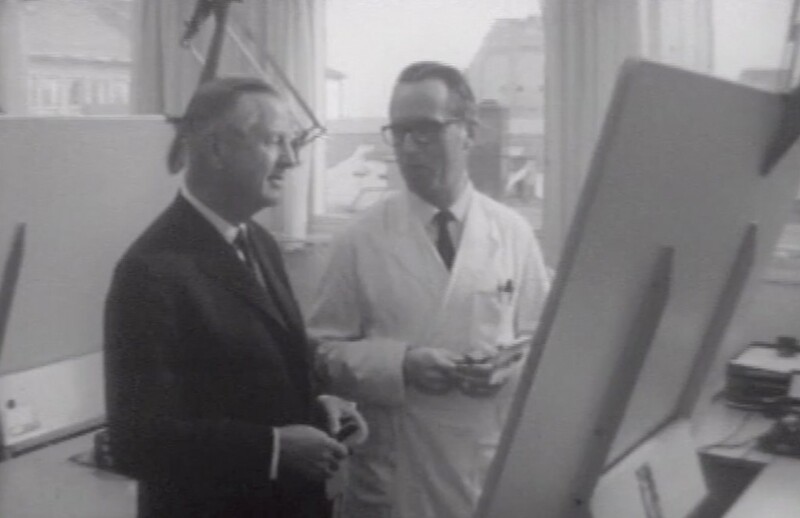 The Hasselblad family’s connections gave young Victor unique access to his family’s business partner, George Eastman. Eastman, one of the world’s most visionary and successful entrepreneurs and founder of the Kodak Company, perfected roll film and was one of the most important figures in the world of photography. In 1926, the businessman took Victor on as his protégé at Kodak’s headquarters in Rochester, New York. After moving back to Sweden, Victor met and married Erna Nathhorst in 1934. Back in Europe, Victor adventured around in search of rare birds to photograph. From a young age, he had a passion for bird watching and capturing them on film. In 1935, he published a book called Flyttfågelstråk (Migratory Bird Passage). It contained various photos of birds in flight, a rarity at the time. In 1937, Victor Hasselblad opened his own photo shop, aptly named Victor Foto, in central Gothenburg. The shop was complete with a photo lab and was his first business step independent from his family. The first camera Victor produced was the HK-7 in 1941 under the company’s original name, Ross AB. The Swedish government approached Victor with the task of replicating a recovered aerial camera to aid the Swedish Air Force. In 1943, Victor took over F.W. Hasselblad & Co, becoming the owner and CEO. This deal also included the company Hasselblad Fotografiska AB. During Victor’s life, he introduced some of the most iconic cameras in history that put Hasselblad on the map, including Hasselblad’s first consumer camera, the 1600F, along with the 1000F, the 500C, and the 500 EL. The Hasselblad approach has been copied and emulated by many, but never equaled. The Hasselblad name became synonymous with the utmost in camera reliability and image quality. In 1978, Victor Hasselblad died at the age of 72. In his will, he left the majority of his sizeable fortune to the Erna and Victor Hasselblad Foundation. The purpose of the foundation is to promote research and academic teaching in the natural sciences and photography. The annual photographic prize, The Hasselblad Foundation International Award in Photography, is one of the most prestigious photographic awards in the world and a fitting memorial to Victor and the world of photography that he loved so much. The beginnings of Hasselblad are found in the aerial HK-7.